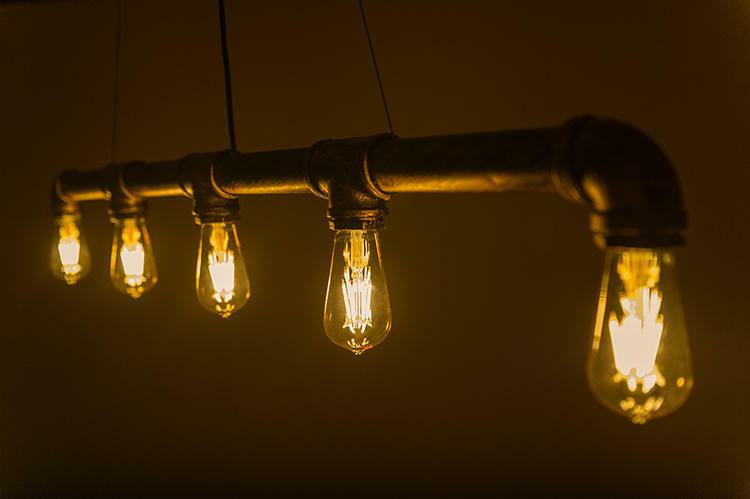 The retro "Edison light bulb" is rapidly occupying the homes of the bars, restaurants, and people who admire the unique home of the American industrial style. And behind this trend is a growing market of filament LED lamps. Filament incandescent lamp and LED lamp with the 1878 Thomas Edison patent application has a very similar appearance, the angle of light, high color, high luminous efficiency is its characteristics. By rearranging the LED chip on the long strip substrate of the bulb, we can connect the chip with gold wire to achieve electrical conduction, and the yellow phosphor on the surface can satisfy the desire of the first generation of LED lamp to satisfy the warm natural light. It is a fashion to promote the growth of filament LED lights, which may help lighting companies to promote LED products more than selling points like "energy saving". "The real problem with LED lighting is that the bulb has a long life, so they don't have a period that can make the market make money steadily." Tom Rowlands-Rees, an Peng Boxin energy financial analyst, says, "the industry may now find a way to make people spend more for lighting. But not because they need lighting, but because it's cool to change the light bulb. " "One of the troublesome problems of the past LED is that you have to popularize its technical selling points to consumers and retailers. We can't assume that they can see what it is. " Matt Sommers, a consumer innovation manager for general electrical lighting, said. However, the filament LED technology was not paid much attention when it was first introduced by Japanese Ushio company in 2008. But with its own design improvement and the first generation of LED lights falling into low price competition, PHILPS, general electric, OSRAM and other lighting factories also began to follow up. Because of the "aesthetic", the filament LED lamp immediately has a lot of room for profit. In the Chinese market, the 3W specification LED filament lamp sells for about 28-30 yuan, which is much higher than the common LED light bulb in 3W. The large demand for filament LED bulbs is mainly produced from Europe and America. According to China Customs data, in the first half of 2017, the total number of LED filament lamps exported to Chinese manufacturers amounted to 15 million 730 thousand, an increase of 353% over the same period, of which the nostalgia of Americans became the largest importing country, accounting for more than 1/3. "About 80% of our orders come from Europe. LED filament lamp is a kind of partial noble product, which is much more recognized in the European and American market than the domestic market." Wang Peng, deputy general manager of the cypress lion optoelectronic, said in an interview. According to the LEDinside data, the value of the global market will reach $20 billion in 2020. In April 2017, the largest Chinese LED package and LED application products suppliers announced the investment of 1 billion 287 million yuan Linsen factories in East China, this is the filament lamp production base with an annual output of about 229 million light bulbs. Filament LED also has its limitations, such as difficult technology, poor heat dissipation, and no standardization. While the market of filament lamps is increasing, it means that small businesses are dangerous. In the first half of PHILPS 2017, many new LED products are all below the market average price, of which 6W sells for 6.1 dollars, and OSRAM sells the same specifications with 6.57 dollars. Patent has now become a focus of competition in the market. The latest together, is to get to Europe, Chinese, EPISTAR patent in October last year sued the Luxrite brand of infringing 8 patents from the beginning of 2006.